LAS VEGAS – The advent of solid state hard drives has created a conundrum for IT managers: Flash drives offer speed needed for many real-time applications, but at a price premium over spinning disks, and they hold less data. One solution from storage manufacturers has been auto-tiered arrays, which mix both classes of drives. Another is an all-flash array, a number of which are being offered by startups and some established vendors. This week at its Discover 2014 infrastructure conference, Hewlett-Packard announced its response: Enhancements to its 3Par StoreServe 7450 with hardware-accelerated, inline primary deduplication, thin cloning software and Express Indexing, combined with larger multi-level cell (cMLC flash drives that hold up to 1.92TB. The result, the company said, is that the price-per-gigabyte of storage is equal to or better than a spinning disk array. 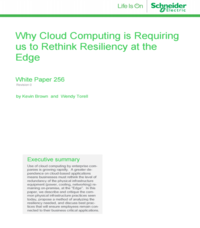 The announcement didn’t impress one industry analyst here, James Staten, principal analyst for cloud computing and adaptive intelligence at Forrester Research. On the other hand, he added, for HP storage customers it’s a valuable announcement because it is competitive. HP says its Thin Deduplication software allows its all-flash arrays to scale to 460 terabytes (TB) raw and more than 1.3 petabytes of equivalent usable capacity.Combined with the new larger flash drives, the cost of storage on a 7459 array drops to below $2 per usable gigabyte. “This is the same cost as systems using performance-oriented spinning disk drives today,” Scott said. 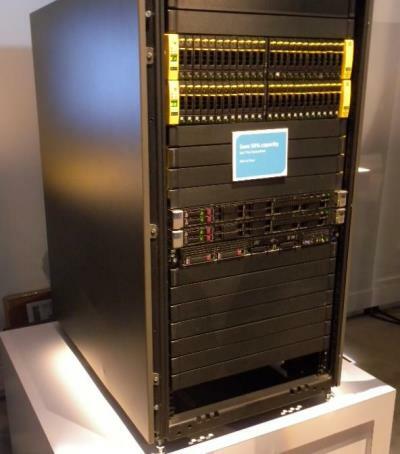 In addition HP is offering customers with any 3Par array that includes four controllers a six-9s performance guarantee, if they follow best practices. The new US$14,315 flash drives wil be available next month and have a five year guarantee.